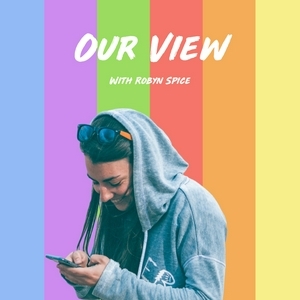 Each week, join Robyn Spice, as she interviews guests who are navigating their own experiences regarding LGBTQ+ issues. In this weeks episode of Our View I discuss internet trolling. I am a huge fan of social media, however social media gives individuals an anonymity which leads to nasty and harmful comments being made, especially against marginalised communities such as the LGBTQ+ community. Please subscribe to this podcast if you have been enjoying the episodes.